Turkey, a country with a unique geographical location, partly submerged in Asia and part of Europe, has long been a barrier and bridge between the two ancient continents. Turkey is situated at the crossroads of the Balkans, Caucasus, Middle East, and eastern Mediterranean. It is among the bigger countries of the region in terms of territory and population, and its land area is greater than that of any European country. Nearly most of the country is located in Asia, comprising the oblong peninsula of Asia Minor—also known as Anatolia—and, in the east, part of a mountainous region. The remainder —Turkish Thrace ”Trakya” —lies in the extreme southeastern part of Europe, a tiny remnant of an empire that once extended over much of the Balkans. The country has a north-south extent that ranges from about 480 to 640 km, and it stretches about 1,600 km from west to east. Turkey is bounded on the north by the Black Sea, on the southwest and west by the Mediterranean Sea and the Aegean Sea on the northeast by Georgia. It is also surrounded directly by 7 countries in Asia and Europe. Of a total boundary length of some 6,440 km, about three-fourths is maritime, including coastlines along the Black Sea, the Aegean, and the Mediterranean, as well as the narrows that link the Black and Aegean seas. These narrows—which include the Bosporus, the Sea of Marmara, and the Dardanelles—are known collectively as the Turkish straits; Turkey’s control of the straits, the only outlet from the Black Sea, has been a major factor in its relations with other states. By examining the map of the three ancient continents, surrounding Turkey, Asia, Europe and Africa, Turkey's position is almost at center if the three continents. According to 2018 statistics, lives on this continents in billions, 4.45, 0.75, and 1.3, respectively. These figures represents 85% of the world's population. Although big countries do not change their strategies easily, these strategies are not made with inspiration and freaks. And do not change by changing the rule or the fall of a president or party or a king. However, the end of the Cold War between the United States and the Soviet Union was a decisive factor in re-reading the role of States, especially when extrapolating the future and redesigning their strategies to accommodate Countries developments, and developments in the new world order. The dual pile presence on the Third World, which was the main engine for the formulation of country strategies, ended by the end of the Cold War. Most of the countries affected by this conflict have begun to redraw their strategies with a view to rearranging their papers in the regional and international environments. During the Cold War, Turkey voluntarily chose to remain at the outer limit of the surrounding territories without any part of it and thus without any specific strategic role. After the fall of the Ottoman Caliphate, the Turkish Republic surrendered itself to a historical surgery in the brain lobes, making it three quarters of a century of hiding and hiding from its Ottoman past, in which the Turks ruled a vast empire. After the end of the Cold War, Turkey, for many geographical and historical reasons, was one of the most prominent countries that redrafted its foreign policies in order to achieve the geostrategic and geopolitical depth it lacked in the course of the war and give it positive freedom of movement in all directions, especially after the demise of the Soviet threat. With the emergence of a new world order, Turkey, like all other countries, had to choose its location and adopt a new strategy that suited new strategic and geopolitical changes. At the heart of this new strategy - which began to emerge after the Justice and Development Party came to power in 2002 - the Turks have removed their dress of voluntary isolation from their Middle Eastern surroundings and replaced their illusions of joining the West and looking eastward at history, customs and common religion. The center point in the vast Eurasian land area, the link between the ends. The Arab world was the first region in which Turkey sought to implement its new policy for several economic, political and geopolitical considerations. 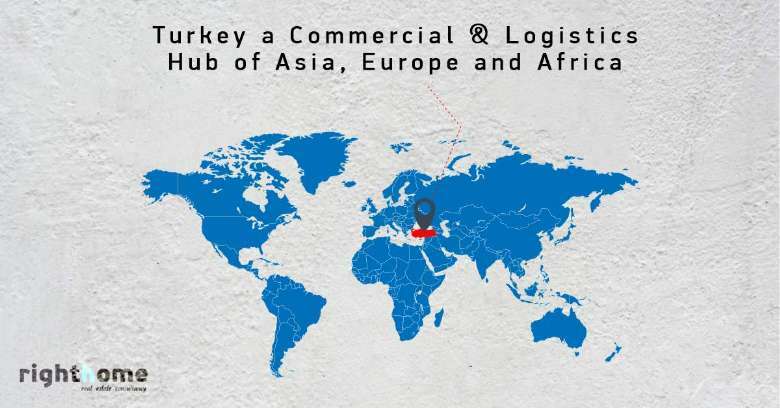 Turkey is a leading trading hub serving the countries of the Middle East, Africa and South Asia, and enjoys a diverse and highly competitive economy worldwide. In particular, Istanbul plays a pivotal role as a hub for regional trade, logistics and tourism. With Turkey's unique location, which makes it a bridge between the two continents and provides access to 6.5 billion customers in Europe, Asia, and Africa, it is one of the most dynamic and important economic poles in the Middle East, North Africa and Turkey. Turkey is the 16th largest economy in the world and has a population of about 80 million. It is characterized by youth, vitality, quality of education, as well as communication and multiculturalism. 42% are under the age of 25. This enormous opportunity in the local market includes 48.6 million broadband subscribers, 73.6 million mobile subscribers and 58 million credit card users in 2015. In addition, the geographical location of more than 190 million passengers On board the airline in 2015. It is noteworthy that Turkey has entered into a customs union agreement with the European Union since 1996, and in 2015, won the title of second largest reformer among the countries of the Organization for Economic Cooperation and Development (OECD) in terms of restrictions on foreign direct investment for the year (1997) Organization for Economic Cooperation and Development (OECD) Direct prophet, indicator of regulation 1997-2015). From the context of the previous review, we conclude that Turkey has the advantage of all the elements that can, with the appearance of 2023, become the link between the East, the North and the South as a trade and logistic center for the three continents, Asia, Europe and Africa. Next we will stop at some of the most important stations that confirm the importance of Turkey as a commercial and logistic center between three old continents. For many years, the Turkish ports on the Black, the Mediterranean and the Aegean Seas, and the railway line across its territory, were the only alternative to the sea route from Asia to Europe via the Bosporus Strait. However, the construction of transit corridors passing through Kazakhstan changed the situation. In the coming years, China Silk Road Initiative, a new logistics map of Eurasia, could be formed. The most important question is whether Turkey will have a place on this map. For more than a century, Russia has used and benefited from its monopolistic position in transcontinental transport. In particular, in the 20th century, the Siberian railway was the Silk Road linking East and West. However, the use of rail in useless business such as transport, was for a long time considered humiliating, and therefore did not get the transit potential of adequate attention and development required. The use of ports and railways of the Far East was limited to the transport of raw materials and local consumption goods. There has been talk for a long time that Russia's monopoly of transcontinental transport routes will end sooner or later. The most famous alternative for a long time, the project of Traceka, which assumed the transport of goods across western China, Kazakhstan, Uzbekistan, Turkmenistan, then through the Caspian Sea, South Caucasus and Turkey. However, this project did not pose a serious threat to the Siberian Railway. The reasons that do not yet allow the establishment of an alternative to the Russian methods, political (instability and problems of relations between States in the region), and purely geographical. On the way of all lines stands the Caspian Sea. Perhaps this is why Russia has not taken threats seriously, competitive advantage has not collapsed, and Russian rail is still one of the slowest and most expensive in the world. The most important event for the end of 2015 has been media reports on the opening of a transit corridor from China via Kazakhstan, Azerbaijan and Georgia with plans to expand it to Turkey and then to Europe. Any projects related to China are now compulsorily linked to Silk Road Initiative. Therefore, the media concluded that "the new Silk Road will not pass through Russia." So there is another path taken by China in what is known as the belt and road initiative as an alternative to ending the previous controversy. Belt and Road Initiative (BRI) is an ambitious effort to improve regional cooperation and connectivity on a continental scale. The initiative aims to strengthen infrastructure, trade and investment links between China and about 65 other countries, which together account for more than 30 percent of world GDP, 62 percent of the population and 75 percent of known energy reserves. BRI consists mainly of the Silk Road Economic Belt, which connects China to Central and South Asia, then Europe, and the New Silk Road linking China to South East Asia, the Gulf States, North Africa and Europe. Six other economic corridors have been identified to connect other countries with the belt and the road. The scope of the initiative continues to be shaped - and more recently, the initiative has been interpreted as open to all countries as well as to international and regional organizations. The Belt and Road Initiative can transform the economic environment in which economies in the region operate. Regional cooperation on the reform of new transport infrastructure and policy improvement can significantly reduce trade costs and improve connectivity, leading to increased cross-border trade and investment and improved growth in the region. For example, shipping times from China to Central Europe take about 30 days, with most of the goods traveling by sea. The duration of shipping by train to 16 days, but due to the current infrastructure, the cost is much greater. Improving the capacity and network of railway infrastructure can therefore radically change the average travel time. While rail transport will be more expensive than the shipping of these routes, the reduction of time and cost will have important consequences for some goods that affect the choice of method and the overall flow of international trade. The opening of the Oveit tunnel, which connects the states of Riza (northeast) and Erzurum (east) of Turkey to traffic, after all preventive measures have been elemenated. The tunnel is one of the most important lanes connecting the Black Sea and eastern Anatolia regions. The tunnel will facilitate traffic from the Black Sea, to Nakhichevan (territory of Azerbaijan), Iran, Georgia and Armenia. Since the announcement of the development of the new Istanbul airport in June 2013, the talk of the new huge center of 10.2 billion euros has attracted the air transport sector. With the foundation of the new Istanbul airport, the company behind the exciting new industry portal, “IGA Havalemann Islimtimes I”, started one of the most important infrastructure projects ever built in Turkey - a project that will drive the nation to the center of the global aviation industry. Dubai airport may be the busiest airport in terms of the number of passengers using it. The number of passengers passing through the airport last year was 88 million passengers. But the vengeance of the strategic importance of Istanbul's new strategic airport in the presence of rival airports in the neighborhood and competition may pose a real challenge to them. Third: Istanbul is a vibrant and flourishing historical and tourist city on many levels. It is a very attractive terminal for the traveler, which is expected to become a catalyst for stopping passengers. Last: but not least, given the importance of Turkey's strategic location as a link between the three continents between the Eastern industrial producer and the Western and Southern consumers, Istanbul Airport will be able to highlight its logistical capabilities, its three runways and its vast areas with important cargo services. 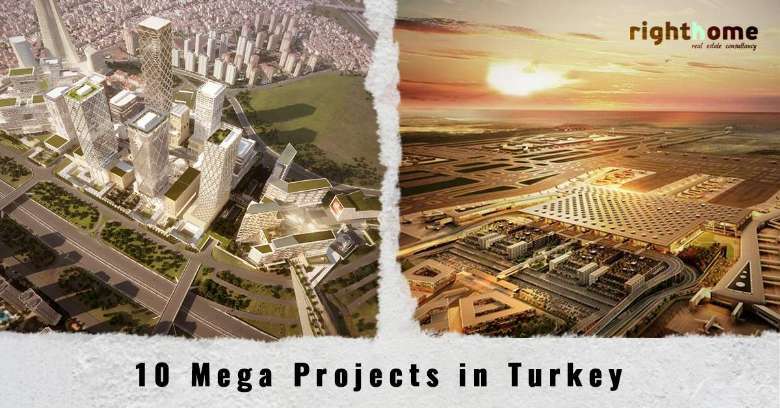 Modern Corridor: The new channel is one of the mega projects that accompanied the emergence of Turkey's "Vision 2023" as a medium-term plan, which aims to occupy a position among the ten most powerful countries in the world by the centennial of the founding of the modern Turkish Republic. The official Turkish reports confirm that the parallel channel will generate Turkey about $ 8 billion a year, contributing to the compensation of 10 billion dollars deprived of them by the reduced traffic rates for ships crossing the Bosphorus, according to the Montreux Convention, which occurred in the Swiss city in 1936 to regulate navigation in the straits and corridors of Turkish water. 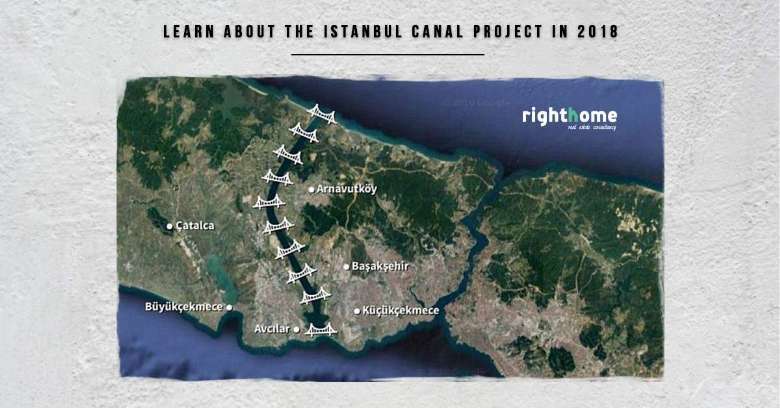 According to the data, the revenues of the new canal will cover the cost of the $ 15 billion project in just two years and will transform the historic Bosphorus into a secondary route for maritime trade compared to the new channel that will attract ships and tankers. The most significant value of the channel stems from its non-compliance with the Montreux Convention, allowing Turkey to collect $ 5.5 per ton of cargo and transshipment of ships it crosses daily. Information indicates that, the channel connecting the Salifri coast of the Marmara Sea to the Black Sea coast of Karakwe will give Turkey a very competitive advantage in the international transport trade, which accounts for more than 75% trans seas. With its strategic geographical location, Turkey is one of the most important natural gas and oil transport corridors produced by Russia and the countries of the Middle East and Central Asia, to the European continent and the Western world. According to the report, the strategic importance of Turkey in this regard is increasing day by day because of the increasing need of Western countries for these articles, where the transfer of natural gas and oil through Turkish territory, large amounts for Western countries. The sea straits, which are under the control of Turkey, is one of the most important sea lanes in the world and most used by transport vessels, and the average amount of oil and gas, which was transported through the straits of Turkey in 2015, reached 2 million barrels per day. Said that the Turkish economy has achieved significant growth over the past ten years. This growth necessitated the consumption of larger quantities of oil and natural gas. He pointed out that Turkey has 312 million barrels of oil reserves, especially in the southern and eastern regions of the country. The report added that Turkey's production of crude oil during the year 2015, reached 62 thousand barrels per day, equivalent to 7 percent of its daily consumption. The role of the port of Ceyhan in the southern state of Adana and its importance in the export of oil east to west, he explained that 650 thousand barrels of Azerbaijani oil, and more than 400 thousand barrels of Iraqi oil, was exported daily to Western countries through the port mentioned during the year 2015.